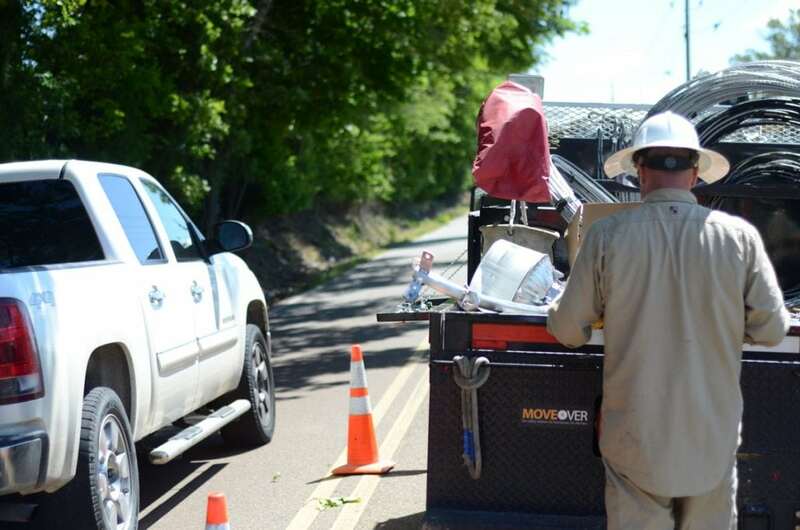 In 2011, following efforts by Tennessee’s electric cooperatives and municipal utilities, the state’s Move Over law was revised to not only include police, firefighters and other first responders, but utility workers as well. Unfortunately, motorists do not always heed the law. The requirements of the law are simple. On a four lane road, if safety and traffic conditions allow, a driver approaching a utility vehicle with flashing lights should move into the far lane. On a two lane road or when changing lanes is not possible, a driver should reduce their speed. The infographic below is designed to help motorists understand their requirements when behind the wheel.